Home Page | News | Ocean City, MD Urgent Care installation finished. Ocean City, MD Urgent Care installation finished. The CMS Install team spent some time at the beach last week. However, sunscreen and flip flops were replaced by tools. 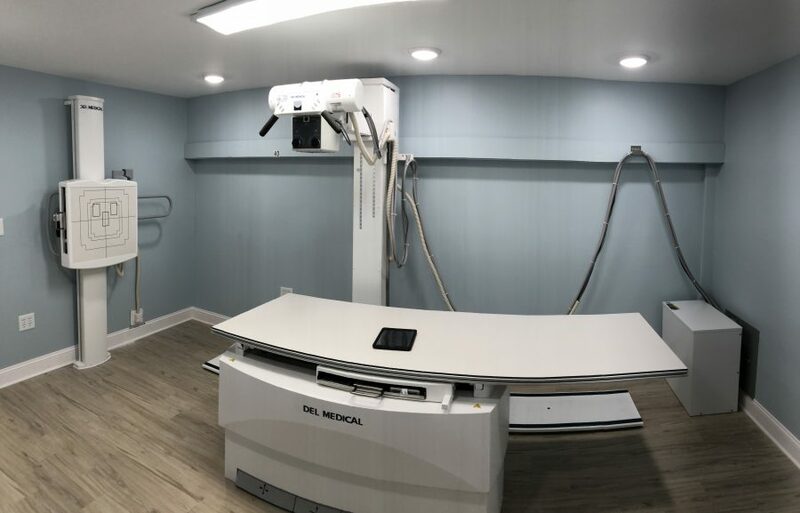 This Ocean City, MD urgent care received a brand new Del Medical Radiographic system with EV800 elevating table, floor mounted tubestand, 40kW CPI generator, VS300 wallstand and Fuji Prima T2 CR. Contact the CMS team today, 800-333-5643 or click here. OCMD Del Medical 40kW CPI Floor Mounted radiographic system.